Better Bounce Creator, Mike Kaufman was raised in Boca Raton, FL where he first started playing basketball at age 9. Mike attended American Heritage High School (Delray) where he was selected as a Palm Beach County All Star his senior year and named All-County. After graduating, he went on to play four years at Lesley University (Cambridge, MA) where he was a 2-year captain. During his time in uniform at Lesley he set two school records, most 3 pointers made in a single game and best single season 3 point percentage at 44.5%. In 2014 he was also a semi-finalist to be the State Farm Dark Horse Dunker in the 2014 ESPN college dunk contest. After graduating from Lesley with a business management and psychology degree, Kaufman pursued professional basketball overseas. 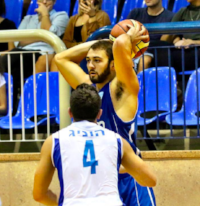 He played two seasons in the Israeli National Basketball League for Maccabi Hod Hasharon and Elizur Ashkelon. 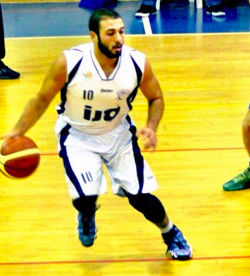 After fulfilling his dream of playing professional basketball he came back to the US to pursue other endeavors. Since moving to New York City, Mike has had special opportunities. He has played several games with the Harlem Wizards, participated in dunk shows/contests and was featured in two Google commercials. It was in Israel where Mike came up with the idea to start Better Bounce. “I finally decided to productize this in an effective way. Having everything online has allowed me to scale my expertise around the world to help as many athletes as possible"
Better Bounce is a basketball lifestyle brand that specializes in making workout programs to help athletes improve their vert, overall athleticism and give them what they need to be successful on the basketball court. Better Bounce is an international company with users in the United States, Israel, India, Africa, Indonesia, Brazil and Australia.